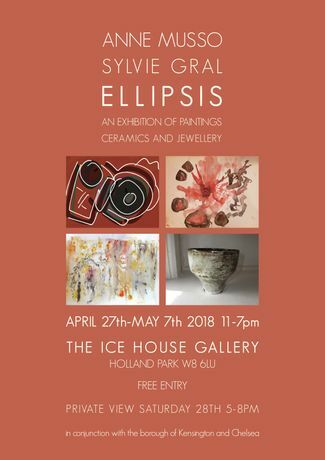 ceramics , jewellery, porcelain lamps in the ICE HOUSE GALLERY in the centre of Holland Park (near the cafe). Anne Musso is an experienced ceramic artist who has already exhibited 8 times at the Ice House. She also paints and makes a range of original jewellery. Her work is spontaneous and tactile. Sylvie Gral’s approach comes mainly from her deep involvement with Words, namely through writing and theatre. The Ice House is one of London’s discreet and charming galleries., tucked away under the majestic trees of Lord Holland estate. Certainly worth a visit !